Discussion in 'Road & Cyclocross' started by Wumpus, Jan 3, 2008. Not sure if you found these yet. Thanks bro! That's some cool stuff. Perfect for mtbing, but I'm wondering if the frame pack would be just too much for the wind? The saddle bag looks good. Before I drop the coin on something like that, I'm gonna try H8R's suggestion of packing and cmpression. H8R had bike advice or are you cross dressing? not bike advice, packing advice. no no, I saw Westy's post in H8R's 700c vs 29er thread. Zoom! Right over my head, then. Screw both of you, with your private jokes, and haughty attitudes! no no, you got the joke. Well then, remember all those ducks? I started my own private joke! 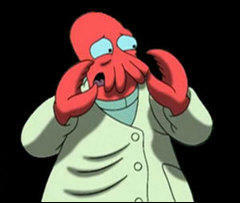 When ever I read your posts they seem to have the voice of dr zoidburg. A test of the bags. Awesome! I love the hammock idea for touring. Here's a list of what he was carrying. I don't have a written list so I guess I could make one. CBaron at this point had a spreadsheet made. My kids are watching a video, so why not? I just sent Ton my list, just realize it is up for change (sleeping system especially). small baggie of cotton balls dipped in petroleum jelly (best fire starter EVER). food (dehydrated food is lightest but can be expensive unless you DIY which I'm going to start toying with). 2 wool jerseys; 1 short sleeve smartwool and one long sleeved Arctyrex climbers shirt used as a jersey. full Pearl Izumi leggings (I can't get rid of the knee warmers because I need the extra insulation on my knees to keep them working). Maybe 1 light wool pull over for camp or light down jacket, I'm undecided. Maybe neither. I pod. Though I didn't even use it until the morning ride home. I just listened to the fire. Emergency blanket (2 years old and still have used it). whatever clothes I'm not wearing minus the jacket, pillow, stove or some food. everything else which isn't much. The food takes up a large amount of space and weight. Oh well. I'm going to eat! I got rid of my Osprey Atmos 18 because the frame for it was digging into my shoulder blades. The Talon 22 is basically the exact same pack without the frame. I LOVE it and it cost the same as most camelbacks ($100). It has everything I need. Feel free to be critical, I'm always up for ideas. Like I said before, I've spent less than 300 on everything. I either already owned it, or got it on sale or was given to me. I got the down bag for 35 bucks at an REI B-93 sale 6 years ago. Not bad.